Veronika Vinogradova is nervous. She's in the middle of the steppe close to the Baikonur space port and the rocket that will carry her husband into space is slowly moving towards the launch pad. She's concentrating on the rocket, oblivious to the technicians and the cameramen, and the thousands of gophers that populate this bleak part of Kazakhstan. “It was on his third day home after his first mission that he said he wanted to go again. I think for such people going into space is a need, you know. Not even a desire, no – a need,” she said. Three days after returning from a long trip in space a cosmonaut can barely walk. It’s hard to get used to gravity again - learning to walk, instead of floating in space. Having spent six months in zero gravity a cosmonaut needs another six months to fully recuperate. But as soon as they get back home, they want to go into space again. “You said yourself that cosmonauts are not right in the head. There’s no way to understand what the pull is – you can only feel it,” smiled Vinogradov’s daughter, Katya. It seems she’s got fond of space, too – she confessed she wants to travel to space one day, just like her father. 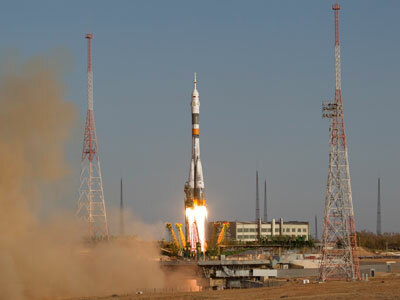 Pavel Vinogradov, Chris Cassidy and Alexander Misurkin will launch into space on March 29. 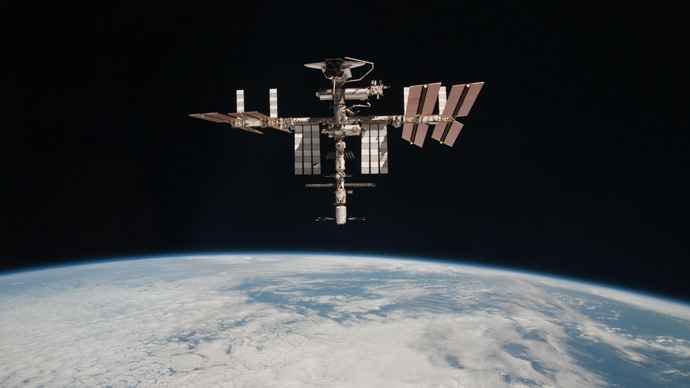 They’ve been preparing for this moment for two years – learning to cope with G-forces, to read and operate instruments on the international space station. They've had to solve mathematical puzzles while parachute jumping, and surviving for two days in a severe frost in a remote forest – in case the Soyuz lands in the wrong place and they will have to wait for rescue teams. Cosmonauts have learnt to sleep with their feet above their head, but the requirements on the ISS are even tougher than that where everything floats unless its tied down. The main thing is to learn to how to float to get around the station. Vinogradov says it’s hard to navigate around so much equipment. Sometimes you can get up speed and forget it’s way more difficult to slow down up there. So if you are too fast, stopping might be painful. Another thing cosmonauts tend to forget in space – don’t put anything on the table. If you’ve lost the pliers, it might take hours to find them. “No, they are not nervous now. It’s something different. When I was inside the Soyuz two years ago, I wasn’t nervous. It’s a mixture of fear, excitement and gratitude – you have finally been chosen”. Michael keeps talking about how the earth is beautiful and how amazing it is to be on the ISS. And you get it – the game is worth the candle. Also, Cassidy is not new to running risks. He took part of four combat operations on land and on sea. This mission will not be an ordinary one. 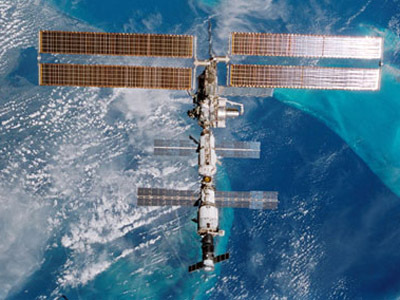 The Soyuz spacecraft is expected to reach the ISS in less than six hours. It will do four orbits and then dock. Previously, the journey to the ISS lasted two days. Vinogradov was one of those who proposed to cut the time. This fast-track trajectory was used in Soviet times, but has not proven successful up till now. Since the Soyuz spaceship became digital they decided to give it another go. It’s all the more relevant because spending two days inside the small Soyuz capsule isn’t comfortable. Also, time is key when it comes to scientific experiments – certain samples have to be delivered to orbit fast. “It’ll be then possible for us to order ice cream, it won’t melt,” Vinogradov said jokingly. The trip to orbit is expected to become even shorter, soon down to three hours. This time the Soyuz will launch four minutes after the ISS flies past Baikonur. Those who will be watching the launch might even see it speeding across the sky. Soon the 300-tonne giant rocket with 30 million horsepower is going to take the new expedition up into orbit. The Soyuz is filled with liquid fuel just before the launch. The rocket will be cooled down, get a covering of ice surrounded by a cloud of steam, and start ‘breathing’. The Baikonur staff and cosmonauts talk of this enormous beast as if it were a living being. The same goes for the ISS. Now, wasn’t it supposed to be the peak of the hi-tech revolution? 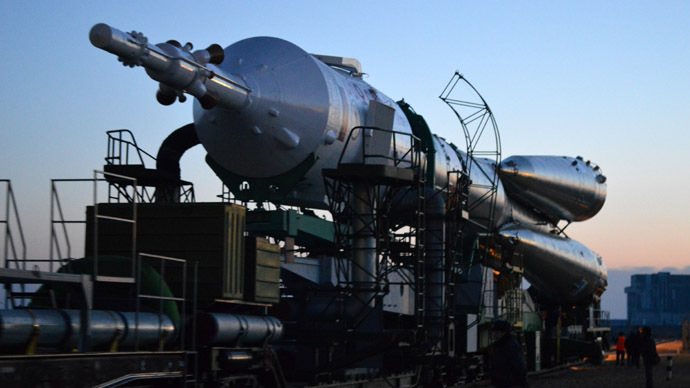 Cosmonauts get inside their ‘living’ rocket two hours before the launch. As part of the pre-flight checks they can call their wives. They will also enjoy some music which they pick beforehand. Their wives are a kilometer away from the launch pad, along with other relatives, journalists, specialists and, of course the gophers. The reserve crew is also watching the launch. One once gave a minute by minute account of what the main crew would be going through. “We’ll be in their place in six months,” he then added.